The kitchen is probably the most exciting, complex and at times fun space in the home. 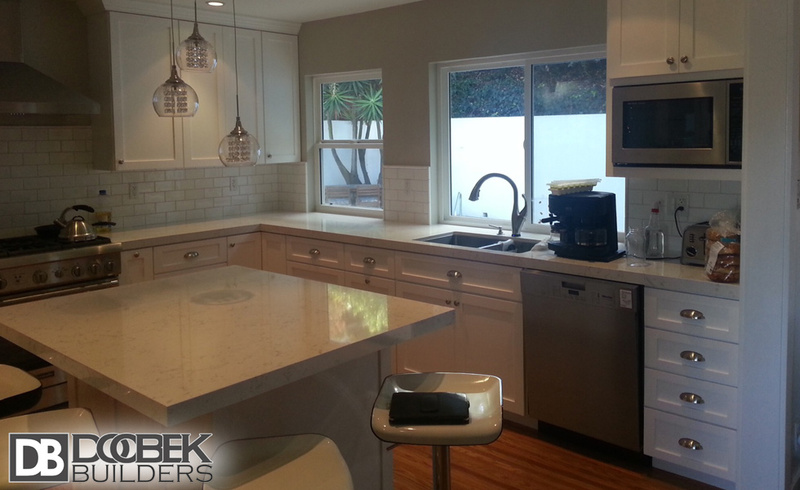 Doobek Builders has an extensive track record for building the most stunning kitchens in the greater Los Angeles area. Every project is assigned a designer and a master carpenter who work together in coordination with our clients to produce pure quality where every detail receives an equal amount of devotion. We specialize in contemporary, modern, and traditional designs featuring a wide variety of different color schemes, designs, and styles. 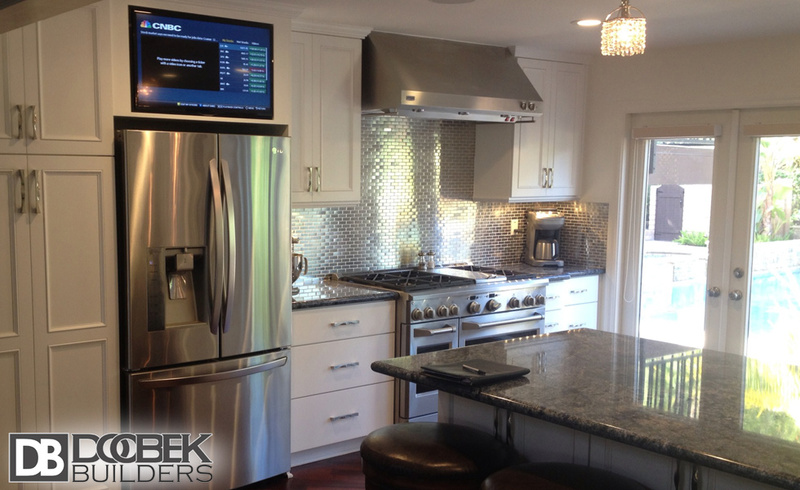 In most households, the kitchen is considered to be the focal point of the home. Especially if you come from a home that loves to eat, the kitchen is where most of the excitement lies. A kitchen as a major gathering place should then be a nice, comfortable, accessible, and functional all at the same time. It should follow a style that would satisfy all those qualities of a real house kitchen. If it is not found in the coolest part of the house then it should have good ventilation with ample space and good lighting. 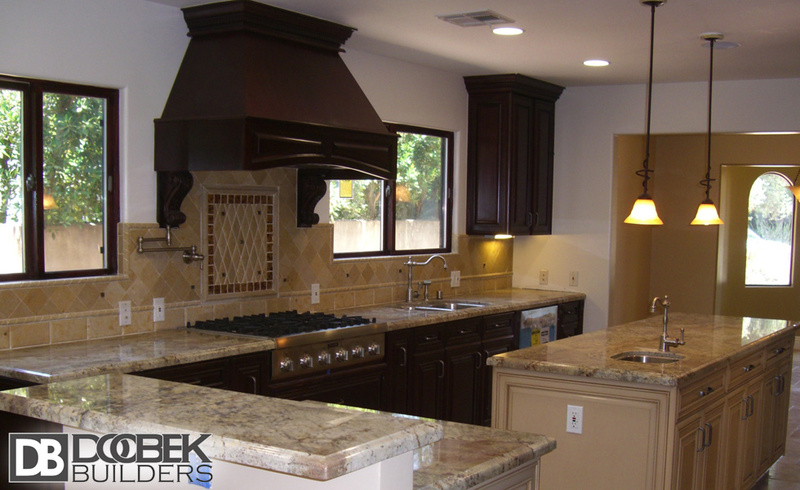 So, if you have been looking into kitchen remodeling estimate and cost, then it is ideal to think about how that kitchen of yours can be the best place in your house because it is definitely a worthy investment to have a beautiful and inviting kitchen. Does your kitchen have a lot of stuff? 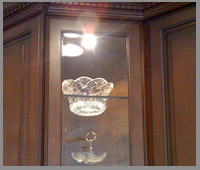 Is that where you keep all your flatware, silverware and glassware? 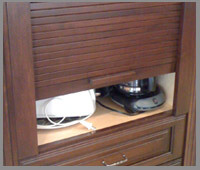 Storage is important because of the many kinds of things that are stored in your kitchen. You keep all the perishable goods in the refrigerator while the non-perishables are in the pantry. There’s a section for the appliances and another one for the flatware and glassware. These are other essential things that need to be in certain places, must be accessible, within reach, and organized. Do you have a big family where everyone likes to see what’s cooking and loves to check the refrigerator every now and then for something they can munch on? Is the kitchen where most meals are taken? Kitchen lighting is important too because who would not love a bright kitchen where all the colors of the vegetables and food are alive? Many kitchens make use of natural light to let the sunshine in. Big windows by the table or the kitchen sink are usually good ways to allow sunlight to enter. The key is to have a nice and inviting ambiance and that can be accomplished with good lighting solutions. The kitchen floor is a big part of the overall kitchen design. The first thing to consider when it comes to the flooring is the material used. 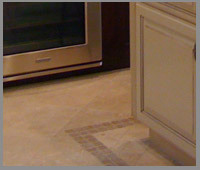 Tiles are usually the best choice because of the stains from spills and splashes. Although linoleum, exotic hardwood, and laminate flooring are also popular choices nowadays, they may gradually decline because of the various types of stains and spills that happen in a kitchen. 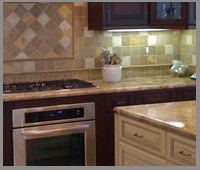 Tiles have a varied range of designs and styles which can transform the look of any kitchen. 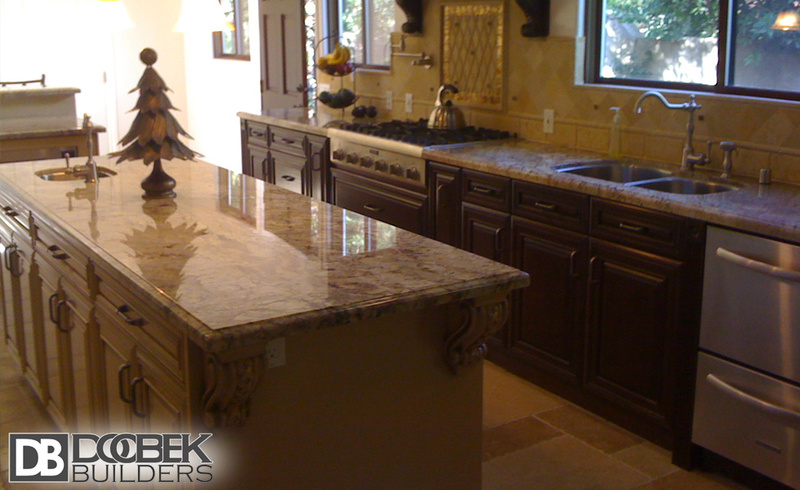 Many people believe that countertops are the heart of the kitchen. Not only should they be sturdy, it is better if they are stain resistant. 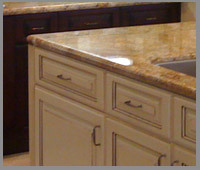 An experienced kitchen remodeling contractor understands that the kitchen countertops should not be compromised. 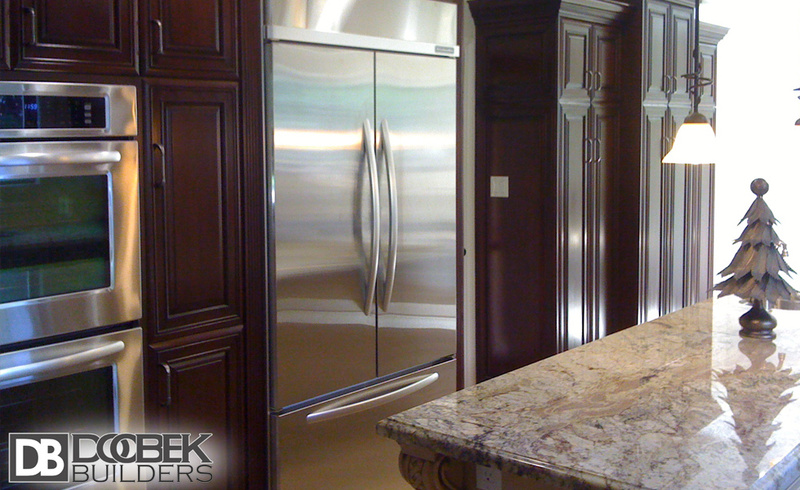 Stainless steel and granite are usually the most popular ones as they are easy to clean and they can withstand pressure from the chopping, cutting, and mashing while stains can be easily wiped off. 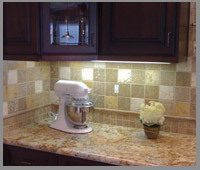 The color of your kitchen will greatly affect the lighting. Bright colors and warm hues are usually the best choice for kitchens to make it more inviting and to create a relaxing ambiance while cooking. 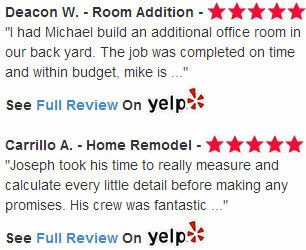 The best part is that the paint is one of the most inexpensive aspects of kitchen remodeling. Though white is a nice basic color that can go well with any design, you might want to consider how stains are easily seen against a white background. 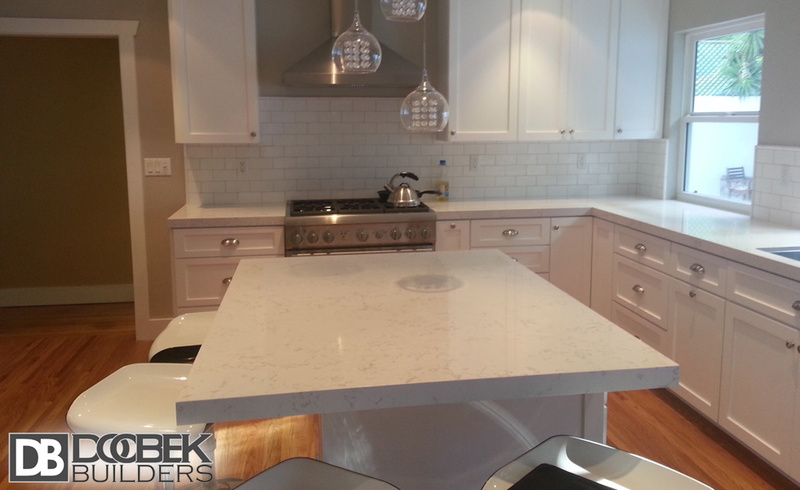 Many people opt for other shades of white so that there won’t be too much of a contrast with the cabinets, flooring, or countertops. 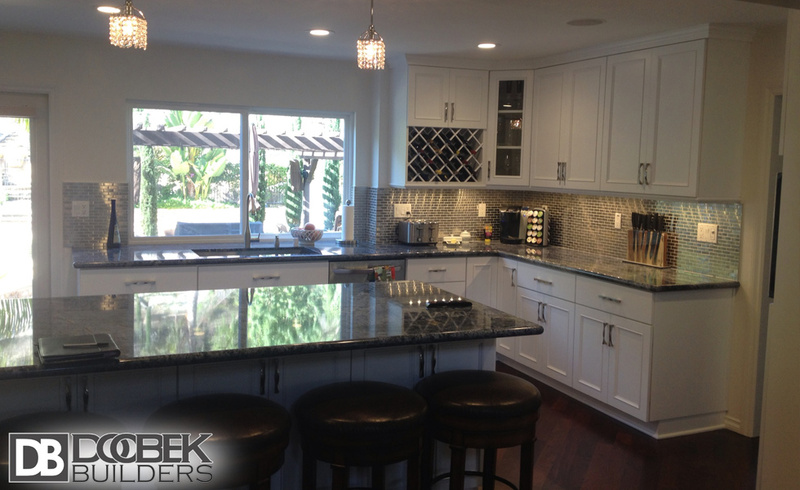 Remodeling the kitchen is serious business as it involves transforming one of the most important rooms of the house into an improved haven for people who love to cook and eat. 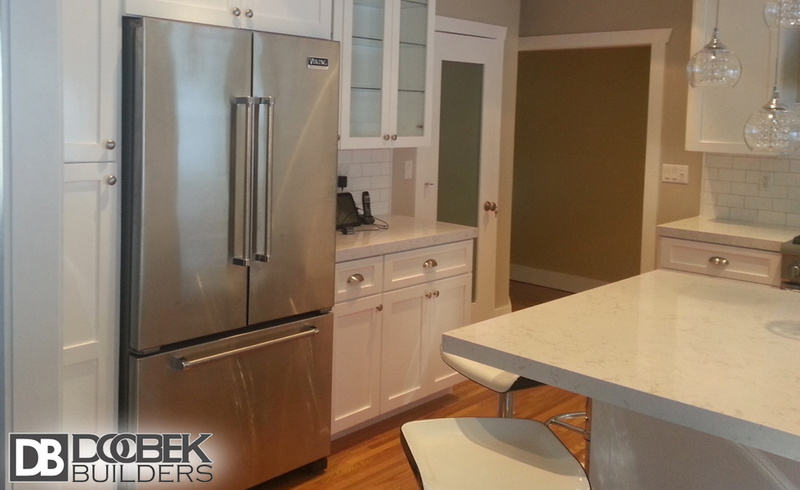 Additionally, if you love to have guests over or enjoy hosting parties and entertaining guests then it is important to have a beautiful kitchen where guests can feel at home, comfortable, and enjoy the delicious food that you prepare. 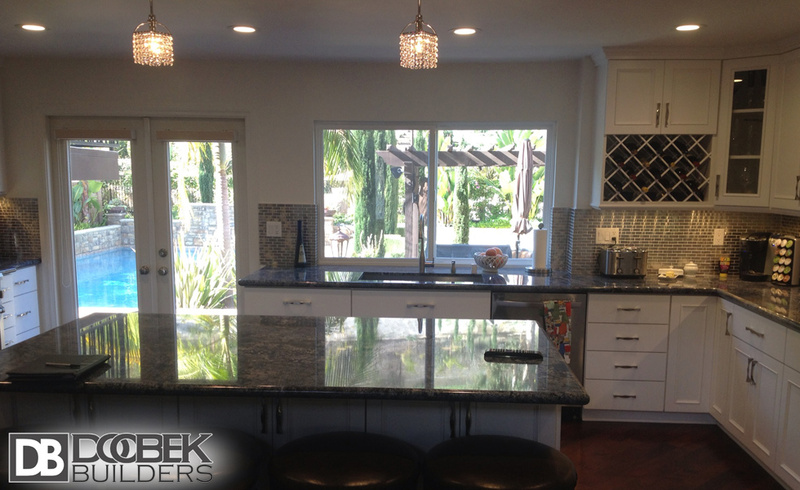 Complete Kitchen Remodel - Kacey L.